Dublin’s Over The Top Wrestling announced that Neville will be performing for the promotion soon. This would mark Neville’s first non-WWE European show since leaving the company. 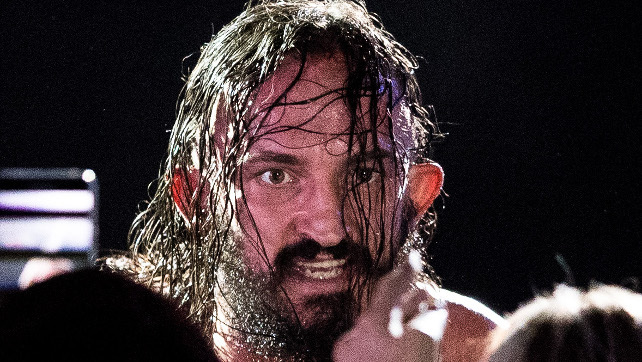 Neville (now going by his original moniker PAC) made his return to wrestling at a Dragon Gate show on October 2 and OTT clarified Neville’s appearance will not be in the month of November. Ronda Rousey has an article up about all the animals that she has on her farm, Browsey Acres. Obviously, it is chock full of adorable animal pictures. Meet the animals of Browsey Acres! We’re working to live off grid and become a little more self dependent every day. Trips to the grocery store are getting fewer and farther between, someday I hope we can get by with just one trip a month. Our chickens and ducks give us eggs, our goats are pack goats that can help us travel and carry 30-40 lbs each over any terrain! Our donkey Milly protects the ranch from coyotes and other predators – Alfonzo who I’m holding in this picture has 4 girlfriends he’s really rough on and bullies the other ducks – he’s contribution will probably be thanksgiving dinner (No means no Alfonzo!) but the point is every animals is happy, spoiled rotten, has a life worth living, and contributes. If you want to see the results of me trying to chase down every animal we got and take a picture with them all in one afternoon – here ya go!! Link in bio!! View the article by going here.